A private sanctuary awaits you just minutes from the city centre of Invercargill. Beersheba offers Southern hospitality at its best. 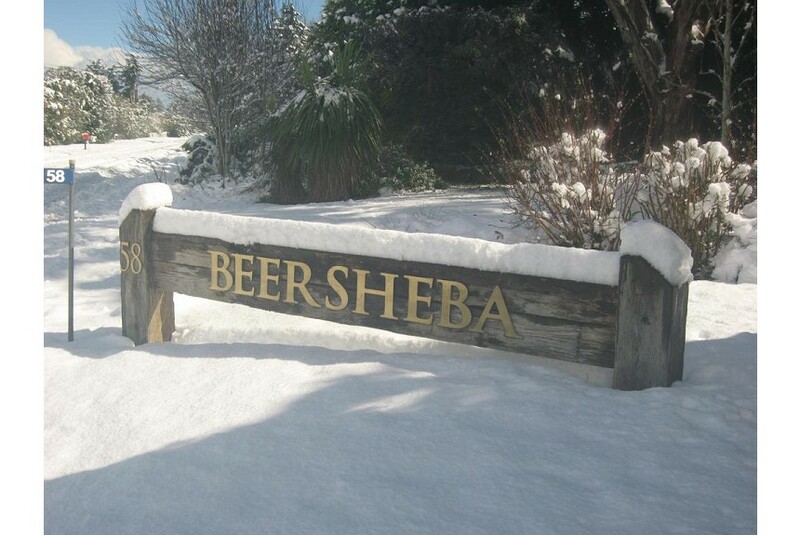 Beersheba Boutique Accommodation is tucked away on a semi rural property on the outskirts of Invercargill, New Zealand’s southernmost city. Four acres of ponds and beautiful woodland gardens, frequented by native birds such as tuis, fantails and woodpigeons, surround our expansive home. Luxurious accents abound in our bed and breakfast guest rooms and self-contained cottage. Stylish leather suites, elegant furnishings and quality linens - Beersheba is accommodation created to meet the needs of the discerning traveler. The distinctive stained glass entrance, created by New Zealand artist Phil Newbury, welcomes you!